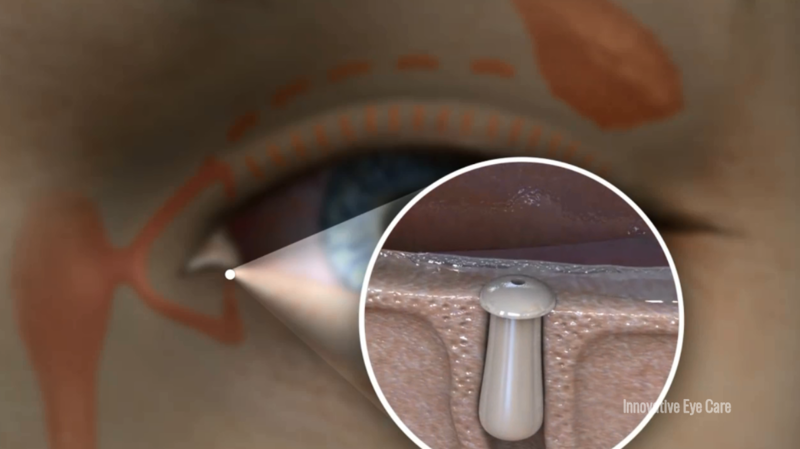 Punctal plugs are one option Innovative Eye Care offers as a treatment for certain kinds of dry eye disease. Optometrists at both the Adelaide and the Woodville practices are able to insert small plugs into an opening for tear drainage in the lower eyelid known as the punctum. With this quick and painless insertion, tears drain less quickly, leaving more tear film available to dampen and freshen the surface of your eye. If you are interested in this procedure, please contact us or book an appointment. In some ways your eyes are like a shower. You have a tear gland above the eye that makes tears that are constantly washing over the surface of your eye to keep it clean and smooth and that drain away into a channel through your lower lid into your nose. There are a variety of different causes of dry eyes but if the cause is that your tear gland is not working 100% - that is, to use our analogy, the shower isn’t on enough, then there are limited treatment options: Artificial tear drops are effective but can be tedious to apply, therapeutic contact lenses (disposable or scleral) also require maintenance. Punctal plugs are easy to insert, convenient and effective. Punctal plugs involve placing a little 0.5 - 0.8mm diameter silicone or collagen plug into the drainage channel, the punctum, to keep the water on the eye longer. Plugs can be temporary (dissolvable) or permanent (which can be manually removed) and can’t be seen or felt once in place. The procedure is quick and painless and can have significant effects: punctal plugs can even reduce inflammation caused by dry eyes in some instances. Tai MC, Cosar CB, Cohen EJ, Rapuano CJ, Laibson PR. The clinical efficacy of silicone punctal plug therapy. Cornea. 2002 Mar;21(2):135-9.